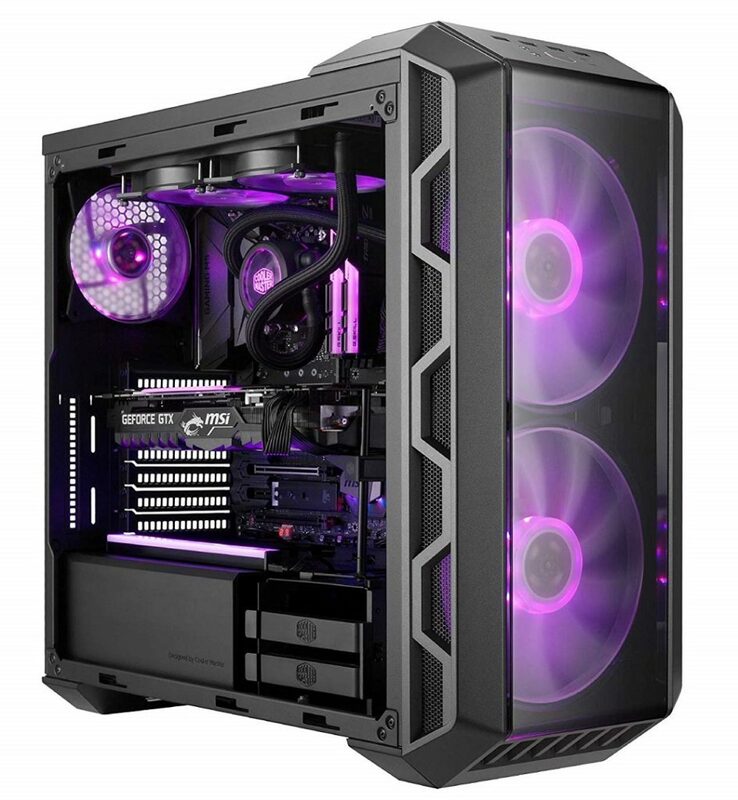 If you remember the Cooler Master H500P from last year which was a kind of failure according to most of the tech reviewers, then it’s most likely that you also know that Cooler Master redesigned the case into several different variations in order to make this Half series case a success. Since then, we have H500P Mesh, H500M and the H500. Today we are going to analyze what the H500 brings to the table. 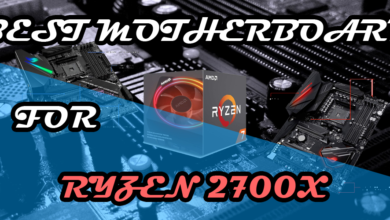 The case was launched in Mid-June 2018 and it tried to offer a lot of value to the customers who want the performance of a Mesh H500P in a much less cost. 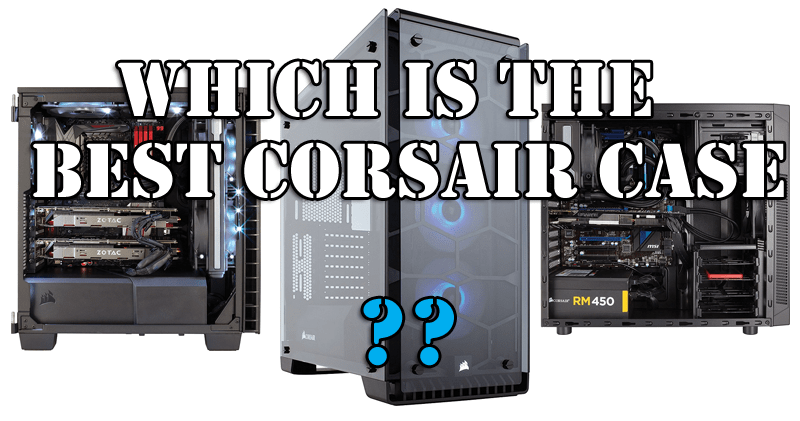 Yes, it’s nowhere near the features of H500M but surely the price tag of $90 is very competitive where most of the good mid-tower cases stand today including Corsair and NZXT cases like Corsair Carbide SPEC-06 and NZXT H500i. Prices change on a daily basis but these cases are somewhere close to each other in pricing. 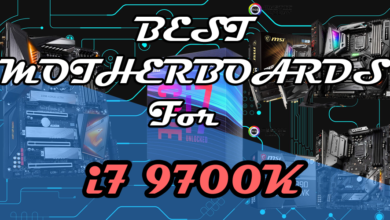 Compatibility is the most important thing to look for whenever you go to buy a new chassis and fortunately, the H500 is just what you need for a low price. 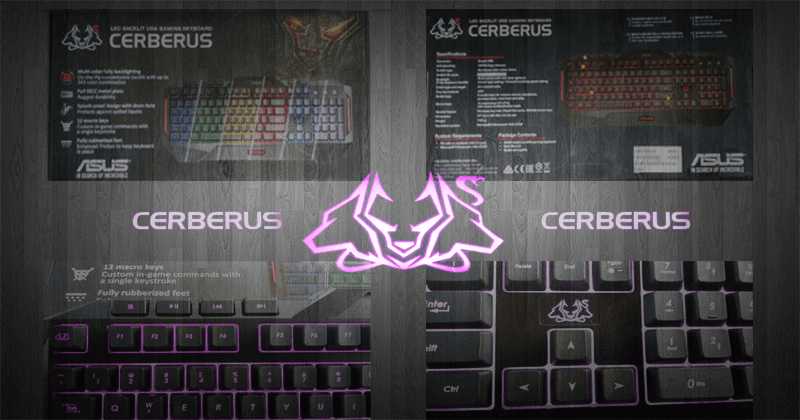 The case has a good strong build with materials used such as Steel, Acrylic panel, Plastic and Tempered glass. This case is a combination of different materials which are used to make the reliability of this case better along with the improvisation of aesthetics. The case is smaller than the H500P mesh and therefore can hold a lesser amount of items you could install in the original edition. 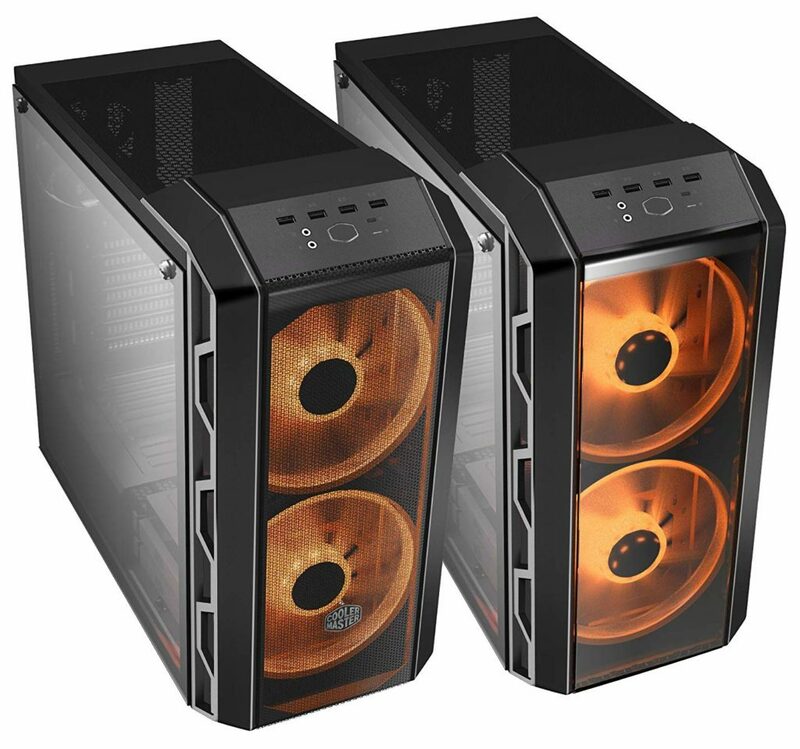 However, the design is just similar and even similar to some of the cases made by Cooler Master in the past like MasterBox 5. But now it uses cable covers inside which ensures that your build is neat and clean. The case can fit very long graphics cards providing up to 410mm clearance which is insane and I don’t know if there is a card that can measure around 400mm. This makes a lot of room empty inside in order that the components can breathe properly. But doing a multi-GPU configuration has a limit to Two. It can’t go beyond that but these days no one uses a Mid-Tower case for dual-GPU configuration. So, the GPU part in the build will have no problem in installation and cooling. 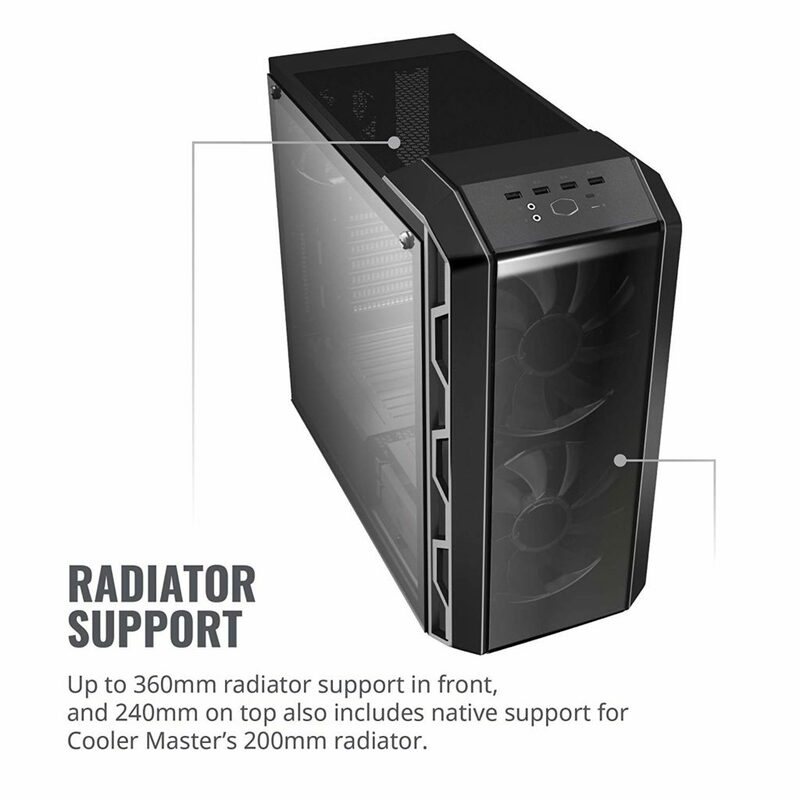 The case can support AIO coolers at the top and at the front. Luckily, it can fit in thick radiators at the front and you won’t be having any problems with clearance. 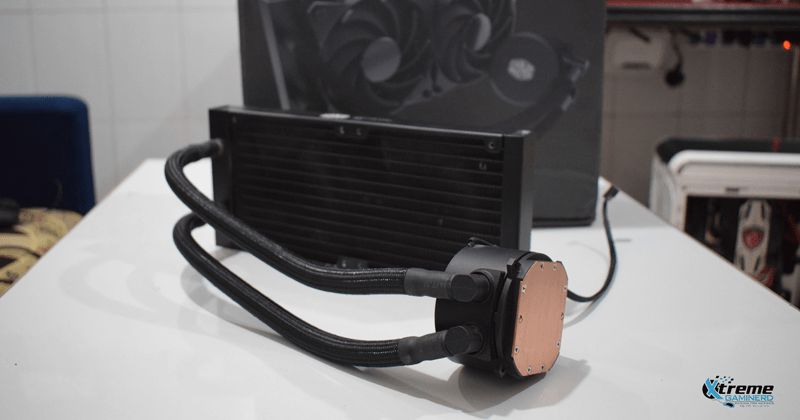 The case is also fit for custom water cooling and you can install a radiator measuring up to 360mm at the front. For storage, there are only 2 Hard drive cages that are present at the bottom beside the PSU shroud. The hard drive cage isn’t included inside the shroud but rather is open similar to the MasterBox 5. 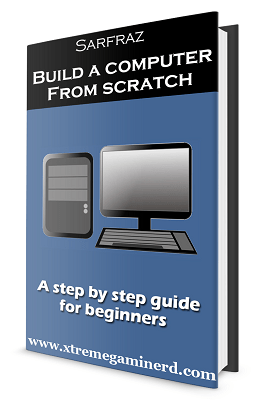 You can either install 2x 3.5″ drives in it or 2x 2.5″ drives as the cage features combo trays. Along with that there are two more slots dedicated for SSDs at the back of the motherboard tray. I feel that this is one limitation of this case that it can’t support a lot of storage devices at a time. 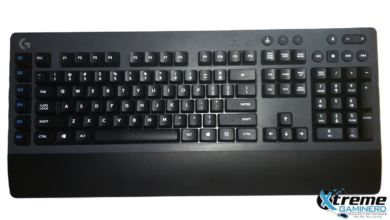 Let’s come to the crucial part which was actually the main focus of CoolerMaster. 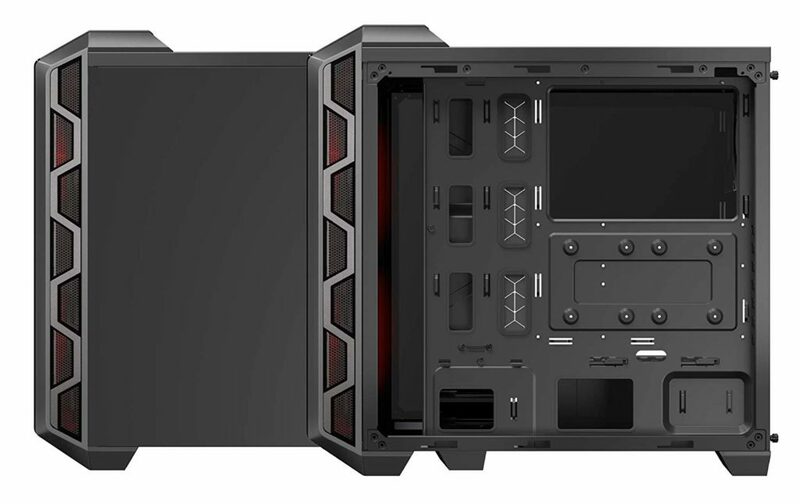 When the criticism of the original H500P started, CoolerMaster decided to make the front panel according to what the users demanded. 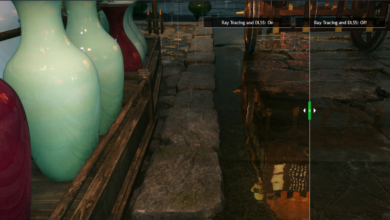 Good on their part that they responded after a short time and implemented the feature in the original as well as the smaller edition which is what we are analyzing in this post. Or you can use the ventilated panel to make sure that your components don’t heat up rapidly which will lead to better performance. 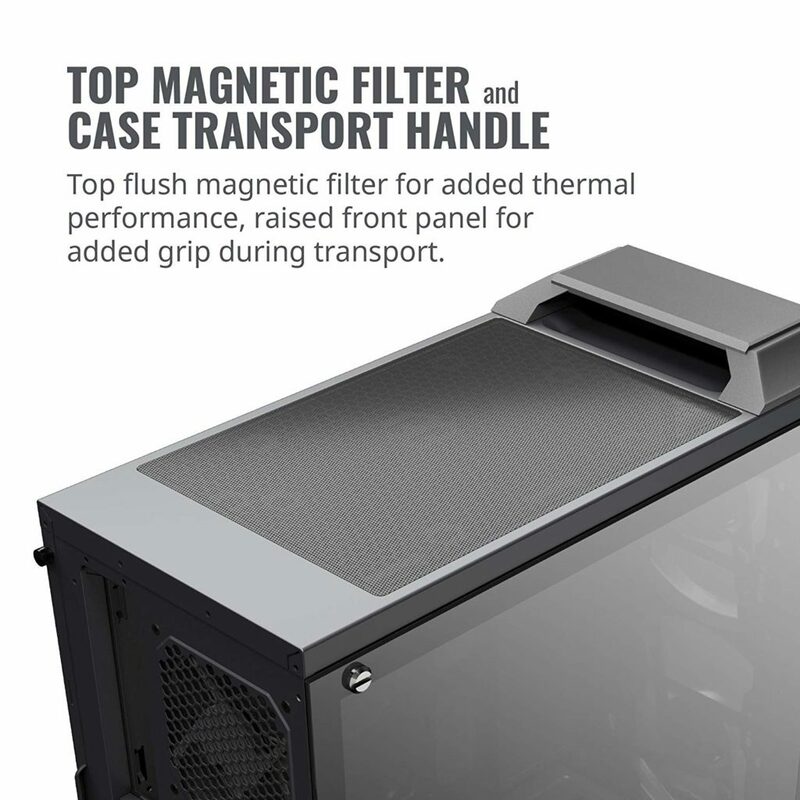 In Cold areas, there should be no problem in maintaining the temperature inside the case but in hot places, it’s more suitable that you use the ventilated front panel for complete balanced airflow. 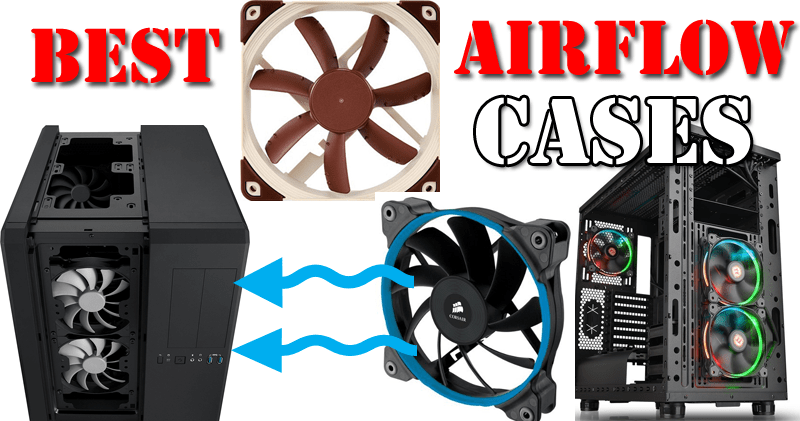 As the case has been equipped with dust filters at the front and at the top, you don’t have to worry about a lot of dust going inside the case and with Three exhaust fans at the rear and top, you will have no problem in maintaining the temperature to the lowest unit possible. In just a couple of years, we have seen cases evolving in terms of both aesthetics and cable management. In cases which are a few years old, there are just routing holes with rubber grommets to make neat cable management. Then came the trends of straps and now we have cable hiding covers. 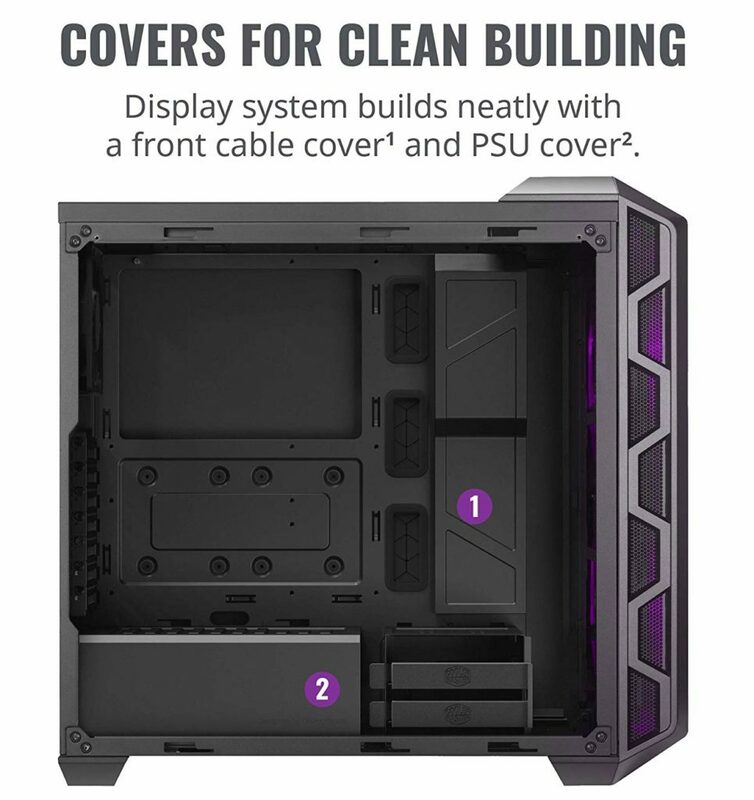 This case uses cable covers to ensure that you don’t see the cable bends at the routing holes and just watch the RGB going in action on your beautiful motherboard and graphics card. The original H500P coms with cable covers at the back also but when you put on the back panel, then the cables are easily hidden without any problem. So, that unnecessary stuff was removed from the H500. On the visible side, it is more logical and practical. H500P was criticized due to the loose tempered glass panel but this case doesn’t fall short in that also. It features an easily removable two screw tempered glass side panel which is grey-tinted to make the lighting effects a little dimmer than actually what they are. I prefer full brightness and non-tinted glass panels but it’s personal preference. Another great addition is the top handle from where you can pick up the case and move it easily. The H500P was so bad in this that whenever you wanted to move it by lifting, either the front or the top panel got removed easily. CoolerMaster listened to Steve Burke from GamersNexus carefully and implemented this feature too. At the top of the front panel, there are 4x USB ports: 2x USB 3.0 and 2x USB 2.0 ports that are handy for connecting additional peripherals. Beside them are audio and mic jacks. 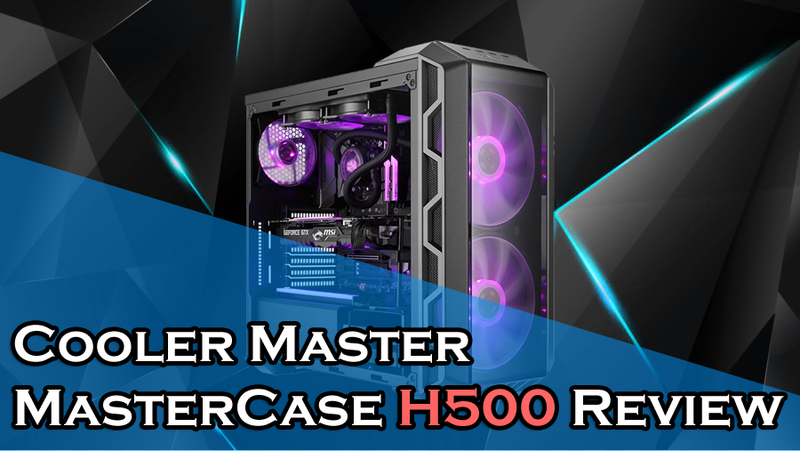 Cooler Master MasterCase H500 is a perfect Mid-Tower case that beats most of its competitors at a price of $90. The case features good support for coolers and graphics cards and doesn't fall short in hiding the cables. The only problem I find with it is the absence of enough storage device support which is not a problem for a normal user but for a user who needs several terabytes of data, upgrading can be difficult.